Former world champion Darren Barker has today announced his retirement from boxing, the Londoner has been plagued with injuries throughout his career. In Darren’s last fight where he lost his IBF middleweight belt against Felix Sturm in December, Barker’s dreaded hip injury came back to haunt him that fight and played a big part in his loss in Germany. Barker achieved him ambition of becoming world champion when he beat Daniel Geale with a courageous victory in August. The fighter had been talking retirement prior to his announcement, just after the Felix Sturm fight, Barker was hitting that this might be end of the road for the fighter. A string of injuries have disrupted the 31-year-old’s career in recent years and he made the tough decision to hang up his gloves after this latest setback. “I’ve been struggling with injuries for a while now and that coupled with achieving my ultimate goal, I thought it was the right time,” Barker told Sky Sports News. When asked if he could change his mind in the future, Barker said: “No chance. You won’t see me in a ring again. “I hope I stay within the sport in some capacity, but it’s a mixture of my body and my desire fading a little bit you know. “A lot of people are aware of my brother passing away and my goal was always to win a world title for him and I managed to do that. Barker rose up the world rankings in 2011 claiming the British, Commonwealth and European titles, this saw the man from Barnet have his first title shot in which he lost against Sergio Martinez. The 31-year-old battle back in to the frame with victories over Kerry Hope and Simone Rotolo, Barker then faced Germany’s Daniel Geale. 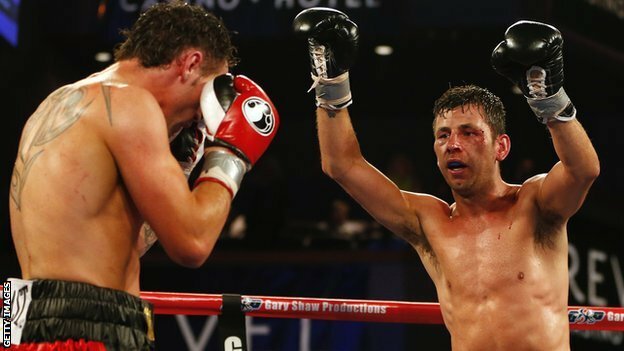 An epic battle ensued, with Darren Barker hitting the canvas, only for Barker to pound away for the rest of the fight to come away with a victory and the world middleweight title in Atlantic City. Promoter Eddie Hearn paid tribute to Barker, who retires with a record of 26 wins, 16 stoppages, with just two defeats. He said: “After the changing room tears, a visit to the hospital for treatment to his hip and the disappointment of losing his world title, Darren’s family and friends made their way back to the hotel. “We shared a beer and just by looking in his eyes I knew it was all over but Darren Barker was at peace, the struggle was over but he had achieved all he ever wanted. “That night in Atlantic City was for me, as many of us, one of the greatest of my life but what makes me happier is that Darren can leave the sport in peace. 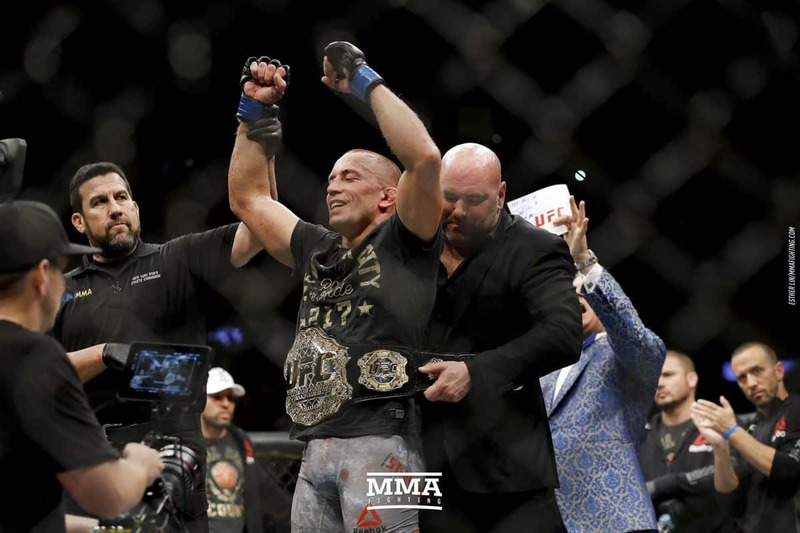 UFC 217 Results: Georges St-Pierre puts Michael Bisping to sleep for middleweight title!